VIRGINIA BEACH, Va. — Moving forward with their upcoming divorce, former Gov. Bob McDonnell and his wife Maureen were spotted out together for the first time since going public with the news. Not surprisingly, they arguing over who would get the family’s Ferrari California. The couple reportedly bickered over dinner at Salacia Prime Seafood & Steaks as two bored-looking attorneys observed while picking at Caesar salads. Bob McDonnell reportedly requested sole ownership of the family Ferrari as he hoped to sell it and use the proceeds to pay for a portion of his multi-million dollar legal bill from his 2014 corruption case. However, Maureen claimed that the Ferrari, which was gifted to the McDonnells from former CEO of Star Scientific, Jonnie Williams Sr., in what was definitely not an act of bribery in any manner, rightfully belonged to her. 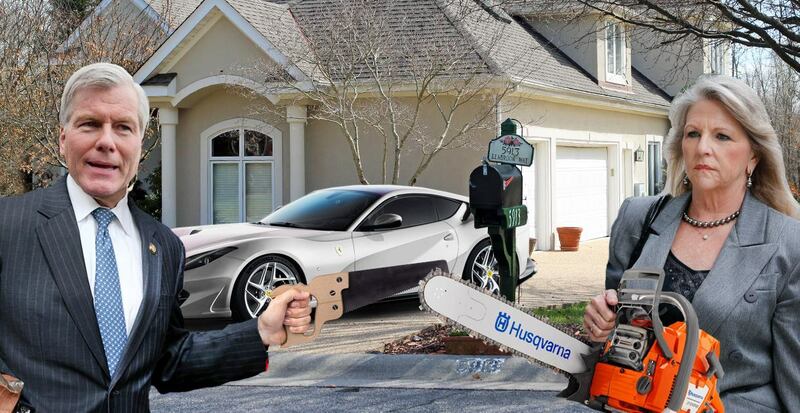 Lawyers for each McDonnell are reportedly working on an arrangement where the Ferrari will be kept by one party while a valued Rolex watch will be given to the other. Support local journalism; check out our online store.